Named Isolate because these oils have been isolated down to just cannabidiol, or CBD; filtering out all other naturally occurring cannabinoids and leaving a pure extract. 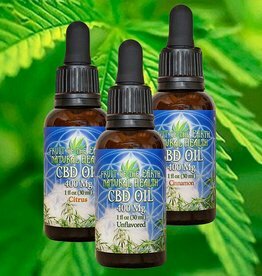 We offer Assorted Strengths, from 250mg to 900mg, with 99.7% Pure CBD from Hemp per bottle in a base of Organic Olive Oil. Available in three flavors: Unflavored, Citrus and Cinnamon. Ingredients: 400 mg Pharmaceutical Grade CBD from Organic Hemp, Organic Olive Oil, Organic Essential Flavor Oil. Ingredients: 600 mg Pharmaceutical Grade CBD from Organic Hemp, Organic Olive Oil, Organic Essential Flavor Oil. Ingredients: 900 mg Pharmaceutical Grade CBD from Organic Hemp, Organic Olive Oil, Organic Essential Flavor Oil.